What is Cellulite? The Do’s and Don’ts. What works and what doesn’t. We analyse the facts to uncover the healthiest and most effective ways to tackle cellulite. 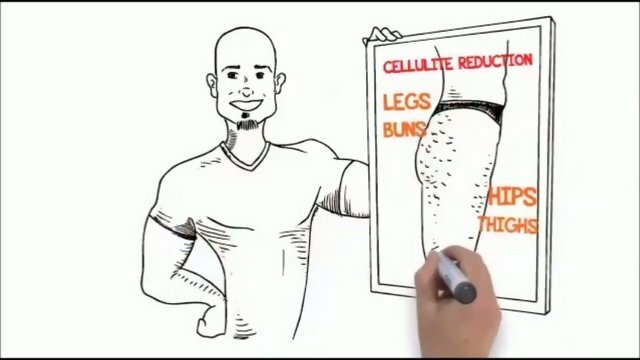 1 What is Cellulite? The Do’s and Don’ts. What works and what doesn’t. 1.1.1 Cellulite or stretch marks? There are so many fanciful claims and theories on how to effectively get rid of it cellulite. Some of these are based on fact and scientific research. Unfortunately many of these are not. Many people are unaware of the difference between these two skin conditions and in many cases they are treated as one and the same. Stretch marks commonly appear after pregnancy or a sudden change in weight (when the skin is overstretched). They generally appear as parallel lines of pink, red or purplish color and usually appear in a different texture to normal skin. Cellulite on the other hand commonly features as orange peel or cottage cheese like dimples on the skins surface and generally does not include discoloration. It is important to identify whether you have stretch marks or cellulite as both are treated differently. There is a huge incentive, especially for medical practitioners and pharmaceutical companies to promote temporary or short term fixes to get rid of cellulite. This makes sense, as it creates dependency and keeps us lining their pockets. Thats why we’ve set out to identify the main misconceptions about cellulite and provide you with information that works (both short term and long term). Hopefully with this scientifically backed information you will be able to conquer those unsightly dimples for good. Firstly, lets find out what actually goes on underneath our skin that causes this orange peel appearance. Put simply, cellulite is caused by fat deposits that push upwards through our layers of connective tissue. This connective tissue is largely composed of a protein called collagen. Although science does not fully understand what causes cellulite, the major consensus among experts seems to be a combination of genetics, hormones, diet and lifestyle. Of course, the latter two being the ones we have most control over. Recent studies suggest that as we age, eat the wrong foods or our lifestyle becomes more sedentary the condition of our connective tissue diminishes. This allows fat deposits to start poking through, causing cellulite. It’s true, some factors are out of our control, however there are a number of things that we CAN do to prevent cellulite or at least reduce its severity. Diet, being one of the causes of cellulite is something we can clearly control. Stay away from foods that expand your fat cells such as refined sugars, processed meats/cheese, alcohol and foods high in saturated fats. 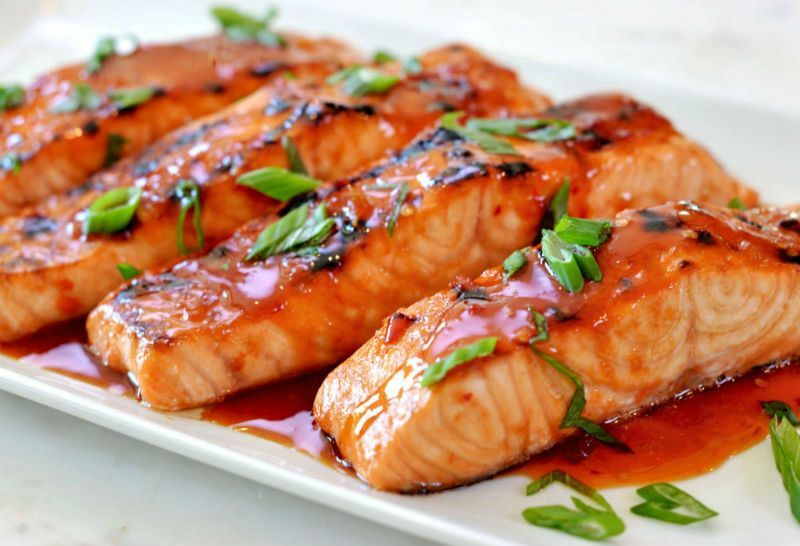 Some great cellulite fighting foods include flaxseed, dark greens and salmon. 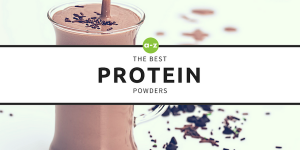 Studies have shown that these aid in increasing collagen production which in turn helps strengthen your connective tissue. Cayenne Pepper has also been shown to enhance blood flow whilst regular water intake will help minimise any loss in skin elasticity. You can read more on the best foods to eat to reduce cellulite in the article 13 Best Foods to Get Rid of Cellulite. Don’t believe the marketing hype. Contrary to popular belief, compression clothing does not help to cure cellulite. In fact research suggests that it can even make it worse. The reasoning behind this is simple. Tight fitting or compression clothes can inhibit circulation and blood flow. 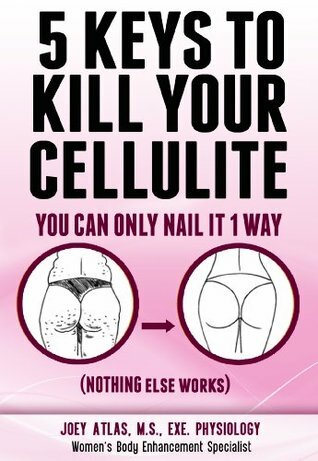 As touched on earlier, these are two of the key elements that need to increase if you are looking to get rid of cellulite. Although compressions clothing may make your skin look and feel firmer while wearing it, this is just a temporary solution. When it comes to factors that help eliminate cellulite, exercise is by far the most beneficial. However not all exercise is created equal. Strength training can help strengthen muscle and tighten your connective tissue. The main aim of an exercise regime structured to reduce cellulite is to improve blood flow AND skin tone. Yes, cardio will definitely help maximise blood flow, however if you are short on time (as most people are) strength training will do both of these things together. Thus try to prioritize strength training first as you get more bang for you buck. If you want to get rid of cellulite on your thighs and arms for example, you can experiment with bodyweight exercises such as lunges, squats and pushups. You can read more on the best exercises for cellulite in our article 20 Simple Exercises to Get Rid of Cellulite on your Bum, Thighs and Legs. Wouldn’t it be nice to have a miracle cream that completely eliminates those Dimples? Unfortunately although many creams claim to be able to banish cellulite for good, the truth is that almost all of these claims are false. If they were, would cellulite really be such a problem? The truth is that there is no scientifically backed information or studies to support the long term effectiveness of cellulite creams. 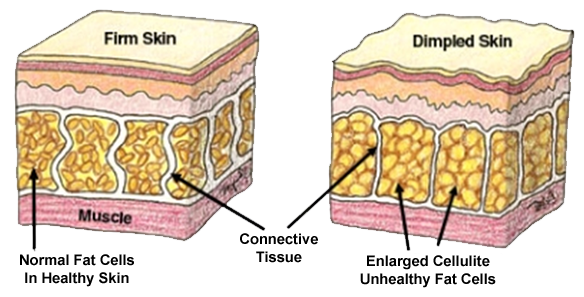 As discussed above, cellulite is caused deep within the surface of the skin, not just on the top layers. It is impossible for a cream to address the underlying causes of cellulite and science has confirmed that creams cannot repair our connective tissue. To read more on the research studies and effectiveness of creams read our article Cellulite Creams: Do they Really Work? It may go without saying but cellulite massage is a great way to enhance blood flow in your circulatory system. 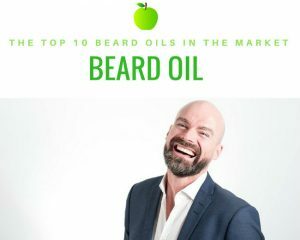 It can be done easily at home or you can go to a massage clinic to get it done by a professional. In order to combat cellulite it is recommend to get a massage done regularly to release the body of toxins and break up fat deposits. If you can’t afford regular visits to the massage parlour, try investing in an electronic cellulite massager. These handheld devices are portable, easy to operate and use extra powerful vibrations that can help penetrate deeper into the tissue. They also stimulate skin elasticity which is important for fighting cellulite. We’ve identified the best electronic cellulite massagers in the article The 7 Best Cellulite Massagers that Help Reduce Cellulite. 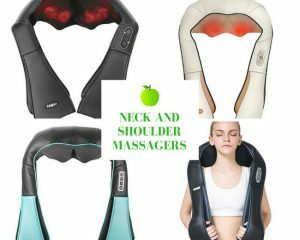 When looking for cellulite massagers be sure to read this article before you invest to ensure you’re getting the best value for money. Medical treatments can be as much of a waste of time as they are money. There is no scientifically backed information highlighting that any of the most common medical procedures actually work. To top it off they can be prohibitively expensive. Like most ‘miracle cures’, medical procedures only treat the symptoms and not the root causes of cellulite. As such they can never actually get rid of cellulite for good. To learn more about the major types of medical treatments and their effectiveness read the article Cellulite Treatment: Does it Really Work? Is it Worth the Investment? As mentioned earlier lifestyle factors are one of the main causes of cellulite. By addressing the causes and not the symptoms of cellulite we are on the path to getting rid of it for good. 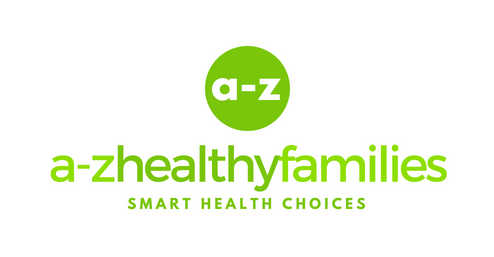 By tweaking your diet and getting the right types of exercise you can tackle the root causes of cellulite head on. If you need more support there are a number of natural healing programs that help you to do this. For a more wholistic diet and exercise program we recommend the Cellulite Factor Solution. 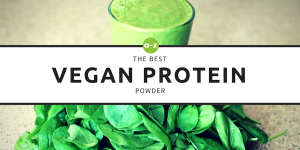 This program, developed by Dr Charles Livingston educates you on the right lifestyle choices including recipes for cellulite busting meals and exercise tutorials. 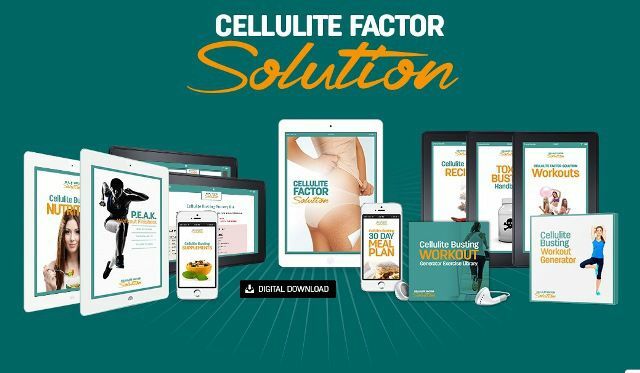 To learn more about this program you can read our article The Cellulite Factor Solution: Does it Really Work? If you’ve got diet covered we recommend a specialized exercise program called The Truth About Cellulite by Joey Atlas. This program again focuses on natural healing mechanisms. It is primarily an exercise program and focuses on ways to reduce muscle atrophy. The Truth About Cellulite Program aims to utilise specific strength training exercises to strengthen your muscles and connective tissue. It even includes video tutorials and workout guides to ensure that you are using the right movements to maximise cellulite reduction. 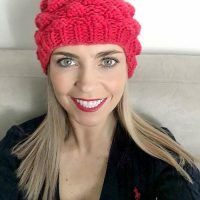 To learn more about this program you can read our article The Truth About Cellulite By Joy Atlas: An Honest Review. 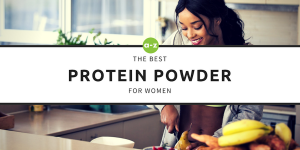 It also recommends a specific muscle strengthening regime that helps repair your connective tissue and fight cellulite.